Hi everyone, hope you had a lovely weekend, and if you celebrated Mother’s Day, I hope you were super spoilt! They did a fantastic job. My car is sparkling! They even cleaned my wheels! Our weeks have been so busy and rushed, that I just wanted a normal, quiet day at home – which has become so rare these days. So my Mother’s Day Sunday consisted of a glorious 9:30am sleep in (omg I was so spoilt! ), pancake breakfast, regular Sunday chores, a bit of gardening, taking one kid to his work, doing bit of shopping, hanging out with my kids, letting them play video games, bit of reading, going to the Asian grocery store and cooking for a dinner party, where we invited both of our extended families over for dinner. 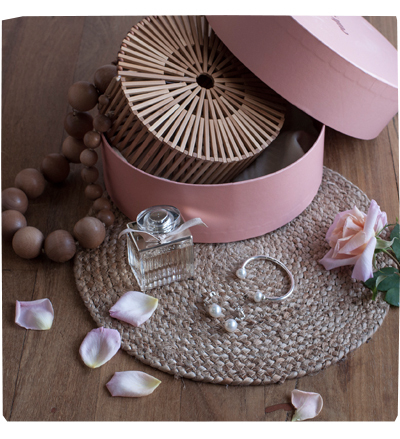 As for gifts, I managed to pick out a few items for myself, including this super gorgeous Bamboo Circle Bag by Cult Gaia. I also received a Chloé Sinature Eau De Parfum (75ml), an oldie but a goodie, via Priceline’s reward club. Also pictured here are some Kailis Jewellery, Antheia Earrings and Twin Pearl Cuff, but these were just a loan for the weekend. 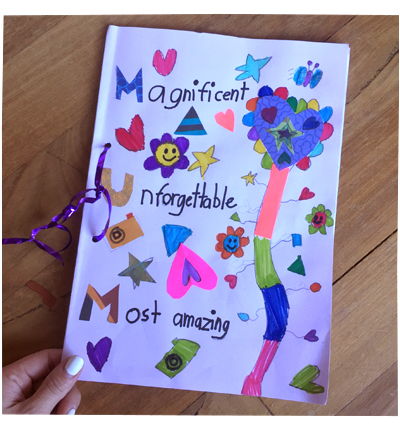 When my 3 kids were in Primary School, I received soooo many cute crafty gifts and cards. The teachers did such a lovely job, implementing all kinds of creative ideas for kids to spoil the mums. Now with my two big kids in high school, I get less crafty gifts (which is a good thing!) but I do get a bit sentimental and miss all those silly “Interview Questions” or “Acrostic Poems”… thankfully I still have a kid in Year 4! 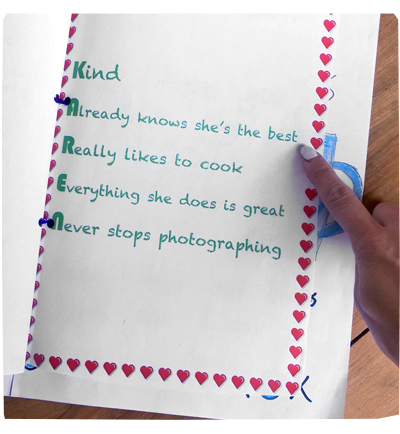 Talking about silly acrostic poems… I can’t tell whether my 9yo kid really thinks this of me, or he was forced to make some stuff up to fit into the poem? I guess he could have simply used the word “awesome”? I’ve been blogging since 1999, which pretty much makes me an internet dinosaur… who is a bit addicted to Instagram filters. I strive to balance my blog with a nice mix of fashion, lifestyle, fitness, cooking, parenting, adventures with my 3 kids and nerdy talk about books and brain training. Isabel Marant’s fashion aesthetic, trying out intermittent fasting (not going too well thanks for asking), reading about ancient Roman history and 19th century Russian literature.